Projects supported by the government, along with conflicts and community divisions, are the beginning of a process of the privatization of the resources of indigenous communities. 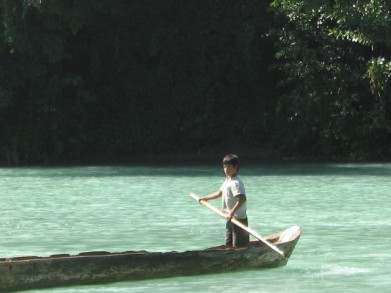 Ecotourism centers operating in Chiapas communities, supported by the government, do so under the logic of the market, which brings the destruction of nature and of social relations. They do not solve the problems of poverty; on the contrary, they create others, such as divisions, violence and exclusion. However, it also seems that they are the beginning of a hidden form of the privatization of natural resources, because these small groups, which have the authorization to exploit the resources, fail after a few years, which leads to a phase of privatization. Tourism has always been important to the development plans of the Chiapas government, but since the government of Pablo Salazar (2000-2006), it became a strategic area for development for the state. The National Commission for the Development of Indigenous Peoples (CDI) and the state government, through the Offices of Tourism and Economic Development, with funding from the Project for Integrated and Sustainable Social Development in the Lacandón Jungle (Prodesis)  joined forces to support the development of tourism. In “Project Chiapas Vision 2020” – in operation since 1998 to promote the development of the state, according to its operators -, tourism is identified as the strategic area for state development, and the actions necessary to achieve it are identified, which include plans for the construction of infrastructure to attract more tourists. The project was revised in 2012, with the participation of the state and federal governments, hoteliers and travel agencies. They did not anywhere meet with the indigenous and campesinos in the tourist areas they intend to exploit – and harm, if you think about the construction of road infrastructure in their territories. There is talk of creating sustainable ecotourism centers, but these concepts are not defined in a way to enable clear understanding of their characteristics. In this context Prodesis was applied, one of the projects which was most supported during the government of Pablo Salazar, and disseminated by Luis H. Alvarez, commissioner of the CDI during the federal government of Felipe Calderón. As a result, countless examples of what were known as ecotourism centers emerged, which on paper were intended to support indigenous and campesino communities which had natural resources which could be exploited for this purpose. Those chosen were locations with water and forests. The integration of the communities was a plus. In a paper presented by the Network of Tourism in Chiapas Ecotours and Ethnic Groups ILO 2008, at a meeting organized by the International Labour Organization (ILO) in that same year, the network indicated how indigenous communities which provide tourism services are integrated into the network of service providers. There are travel agencies, and some of the so-called ecotourism projects,- especially those located in the Lacandón Jungle, – in which there is talk of a new form of social integration among sectors, private providers and the government to implement tourist services projects. However, once again it is the providers of professional services who are the main beneficiaries. It is unclear how communities or ejidos benefit from these projects. When some of the ecotourism centers were asked about the Network, the inhabitants indicated that they only know that there are intermediaries who look after the bringing of tour groups, who charge for this service, and who are responsible for paying the cooperatives for what they offer. The difference between the amount which the brokers charge for tours and what they pay to the cooperatives who provide the services is huge, in other words, those who benefit least are those who do the work and those who have right over the territories. Another issue of equal concern is the conflicts that arise in the various ecotourism centers, even those which have been running for many years. One of these is the case of the waterfalls of Agua Azul, where the beneficiaries – ejidatarios from the ejido of the same name – are in confrontation with the campesinos of Bolon Ajaw (Zapatistas who do not accept the river being exploited for commercial purposes, much less the project to construct hotel facilities which would affect the whole area) and with the ejido of Bachajón (Zapatista sympathisers and members of the Sixth Declaration of the Lacandón Jungle), on whose land is situated the entrance road to the resort and who also do not share the business vision of the Agua Azul ejido. State and federal authorities are involved in the conflict, such as the National Commission of Natural Protected Areas (which administers the booth at Agua Azul) and the Agrarian Procurator, who gets involved in virtually all such conflicts in order to support the groups defending these projects. As happened in the Caracol of Roberto Barrios in 2008, a group of inhabitants of the ejido took up the offer from Luis H. Alvarez to create an ecotourism center, a move that divided the population; after many years of not having an ejidal commissioner to maintain the resistance, they held an assembly to appoint one. According to the denouncement of the ejidatarios who oppose the project, the meeting did not comply with the legal requirements, but was still validated to give legal backing to the project. The San Cristobal – Palenque highway, project of the Governor Juan Sabines, is another example of the authorities creating conflicts in order to impose projects. Marches, demonstrations, road closures, people jailed, injured and even killed are some of the results; the resistance was able to stop the construction of the road, but the work of division continues, and the current authorities have announced that the project will carry on, with some modifications to the original route. They indicated that they are negotiating with communities to avoid conflict, but if they do not succeed in convincing them, they will apply the right of the government to expropriate the land. That is, the projects are moving forward with the justification that they are the best thing for the communities regardless of the conflicts they generate. There are no efforts on the part of the government supporters to understand the significance of the land for campesino and indigenous populations, which have highly complex cultural frameworks. For this reason, the projects “of development,” which involve the use of natural resources, not only lead to conflicts, but also foster violence when, – as we saw in the examples above -, government policies seek to destroy such significance. As ways to tackle poverty, projects are created in rural areas, but these are largely directed at destroying what still remains in indigenous rural areas – the natural wealth, – and social relations. 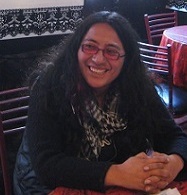 It is no longer just about focused and compensatory programs to combat poverty, which consist of giving resources to populations which are on the poverty line; now, with a new discourse, it tries to convince the indigenous that it is their condition as campesinos which keeps them poor, and which offers them resources and advice on how to take advantage of the natural resources of their communities to create their own sources of employment, as is the case with the ecotourism centers. Delving into how the groups that manage ecotourism centres are organized, we realized that the beneficiaries are the few, not the whole community. In the places advertised as Las Nubes and Las Guacamayas, the groups are very small, they are people from the community who gambled on the project. They left their farming activities and became waiters, bartenders and managers. In the case of Las Nubes – located on the Santo Domingo River on the edge of the Lacandón Jungle, the cabins are partially destroyed; it did not work as the business that was offered to the cooperative members. On the other hand, the villagers who have not benefited from the project have accused the group of appropriating the community’s land to exploit for the ecotourism center. As for Las Guacamayas – located on the banks of the river Lacantún within the Lacandón Jungle, – at certain times of year the hotel is full, but normally they do not have visitors. This indicates a low level of income, which means that the project’s beneficiaries do not allow the residents of the community to offer accommodation and food to visitors, which they did before it became an ecotourism centrr. The problem is not tourism itself – even the Zapatistas have it as an economic activity in some places. The problem is claiming that tourism is the only option, at the expense of other ways of life in the countryside; if tourism is the only alternative, the tourist becomes the priority, so that infrastructure must be built for the convenience of the tourist, even if this means that entire communities are destroyed. There are other ways to provide tourist services without damaging nature and social relations, and this option does not create conflict because they offer what already exists – the natural beauty in its current state, and it is the communities who organize for this purpose. The ecotourism centers which operate supported by the government do so under the logic of the market, which brings the destruction of nature and social relations. They do not solve the problems of poverty; on the contrary, they create others, such as divisions, violence and exclusion. But it also seems that they are the beginning of a hidden form of the privatization of natural resources, because these small groups, which have the authorization to exploit the resources, fail after a few years, which leads to a phase of the privatization of spaces through agreements with national, and even international, tourism companies. There are already cases, such as that of the Lacandón community, where professional hoteliers manage “community” hotels.